Talented double bass player and valued chamber musician, he took up the study of music very early, taking first steps in pop and jazz music. 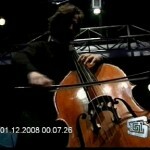 After graduating in Double Bass, at “A. 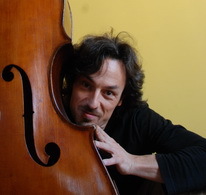 Buzzolla Coservatory” in Adria, he improved further with principal double bassist of the National Academy of Santa Cecilia, principal double bassist of the “Alla Scala” Theatre, and M. F. Petracchi, at Walter Stauffer Accademy, and Sermoneta summer courses. He has worked with the “Symphony Orchestra of Umbria and Perugia”, the Musica Riva Festival Orchestra”, the “Liric Theatre of Spoleto”, the “Symphony Orchestra of Roma”, and the “Roma Chamber Orchestra”, “Tiroler Festspiele Orchestra” , “Accademia Nazionale Santa Cecilia”, he has toured in Japan, France, Greece and Austria. In parallel, he has undertaken successful work in the field of chamber music playing in several Italian festivals, collaborating, as a soloist too, in many sessions with both international and Italian artists. He has played in the role of first double bassist in many lyrical-symphonic productions performing concerts throughout Italy and abroad. He has always been keenly active in teaching as an instrument teacher, as well as teaching ensemble music and basic jazz theory at “Civic school of the arts” in Rome. 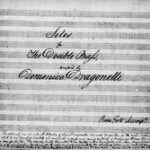 As a researcher he is attentive to the recovery of Italian music, especially the music of Domenico Dragonetti double bassist-composer who lived abridge the eighteenth and nineteenth century, performing in radio program, original works of the same, broadcasted from the Vatican’s Radio and Radio Rai 3. 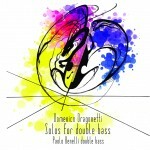 Is the author of the collection “Solos for double bass”, published by “Carisch”, and distributed by the “Music Sales” group contening Domenico Dragonetti’s unpublished compositions. 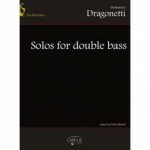 His debut album “Solos for double Bass” (june 2014), containing world premiere recordings of Domenico Dragonetti’s unreleased works, is disribuited by Naxos of America. 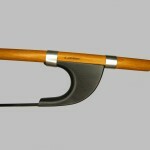 He plays both french and german grip.